Dance-Ability is all about focusing on the person over the disability. True Motion Dance believe that everyone can dance and everyone should have the opportunity to do so. Whether you are able bodied or have a physical or learning disability, dance is a great way to let off steam, be creative and get fit and healthy. 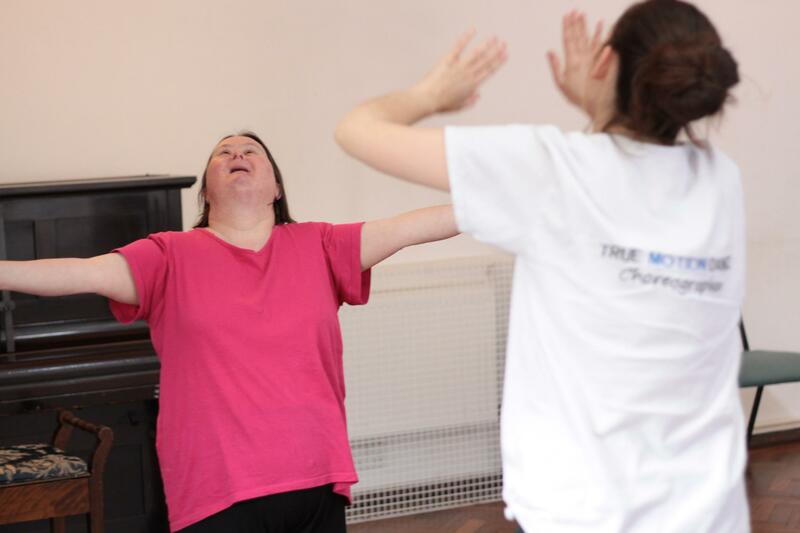 Dance-Ability classes focus on creating a unique dance experience for people with physical or learning disabilities. All classes are designed and delivered by True Motion’s founder, Kelly Marie Such. Kelly is a professionally trained dance artist with both BA (hons) and MA degrees in dance and over 10 years experience in teaching dance. Kelly has full public liability insurance, a DBS, has undertaken child safeguarding and emergency first aid training and is a licensed chaperone with Norfolk County Council. True Motion Dance currently offer private Dance-Ability classes to any individual or group with an interest in dance. Whether you want to get creative, improve your fitness or just have fun, dance is a great way to do it! Dance-Ability can assist in keeping a healthy body and mind, it helps you improve your fitness, balance, stamina and coordination. Dance-Ability classes are a fantastic outlet for creativity and letting your personality shine and a great way to improve confidence. If you are interested in having a Dance-Ability class for yourself or your group, contact Kelly for more information.